What is your feel good food? Obviously, it has to be something that is delicious! ... but is your definition of delicious? Does it has to look seriously appetizing? Or are looks really important? Does it has to taste seriously sweet, salty and flavoursome? Or sugar free? Or with no salt? Does it has to lusciously divine and rich? Or wholesome and low in fat? Does it has to be luxuriously expensive? Or basic, fresh, organic or even home grown? 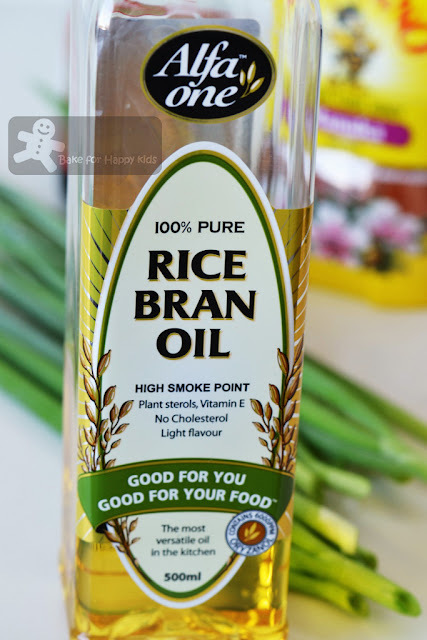 Does it has to be macrobiotic, wholegrain, raw, low GI, low in calories or high in protein? Or what the heck? LOL! My food-for-thoughts tells me that my feel good food is something that I would enjoy. To me, it doesn't have to be fancy-looking, expensive, low in everything bad or high in everything good. 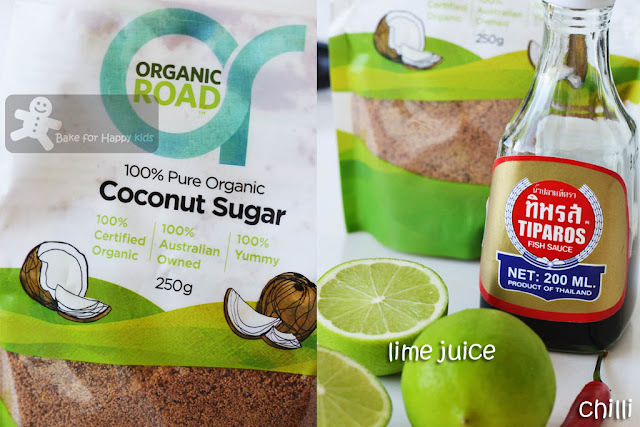 I'm after something that is basic, natural, environmental friendly and balanced in its nutrients, taste and freshness. 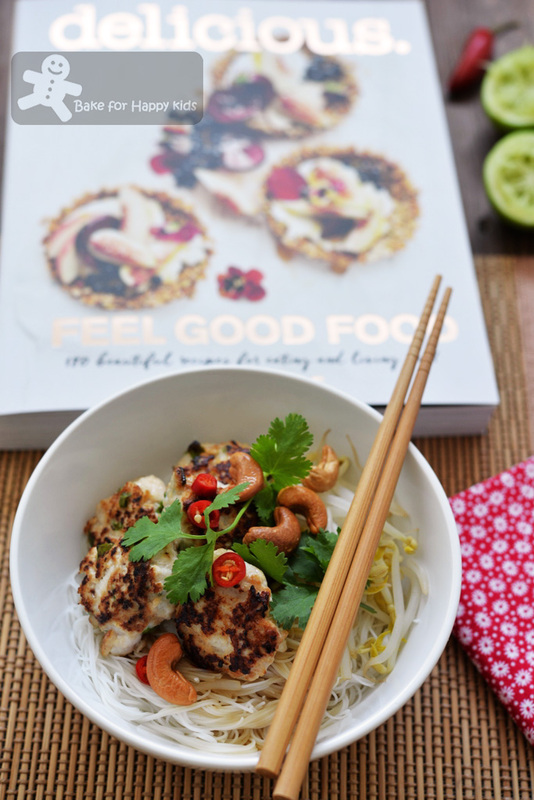 Food that gives me a positive kind of energy... Just like this light and easy bun cha that I have cooked from the book, ABC Delicious: Feel Good Food by Valli Little. So glad that this book and I see eye to eye. 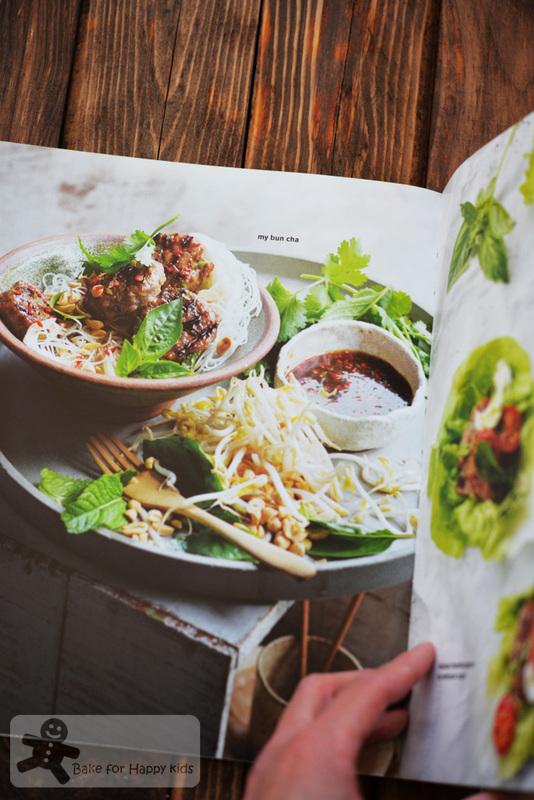 of grilled pork, white rice noodle (bún) and herbs served with a fish sauce type of dressing. Am I feeling good after eating this bun cha? Yeah, I am. 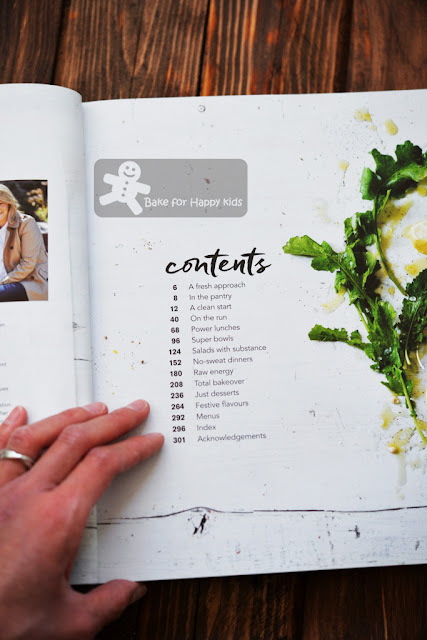 I like to give the credit to this beautifully crafted ABC Delicious Feel Good Food book. The book starts by introducing a fresh approach about feeling good. It says "Good health is all about balance, which is I've learnt over the years that it's not achieved by fad food regimens and quick weight-loss diets..."
The subsequent chapters talk about the interesting and alternative ingredients and then recipes that makes energetic breakfasts, nutritional fast food, nourishing lunches, no sweat dinners and less-guilty cakes and desserts that makes us says wow and yum. 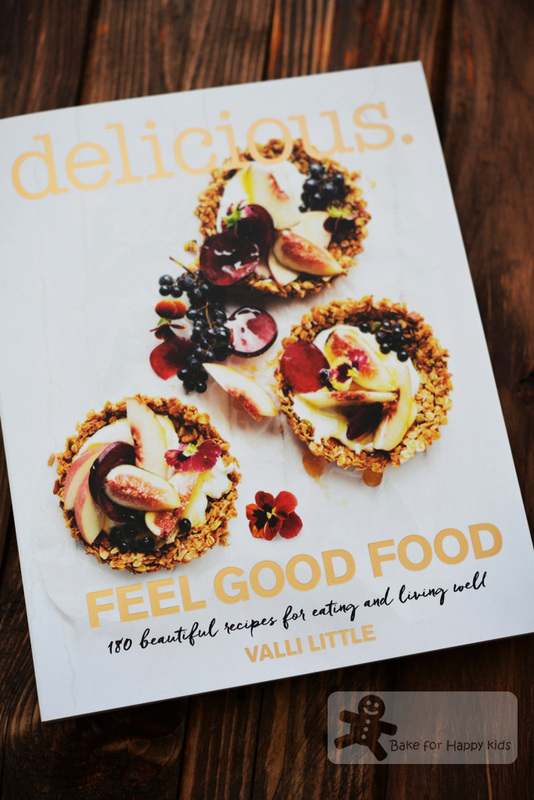 This book has also taught me to appreciate the beauty of raw food as cooking can destroy some essential vitamins and enzymes in ingredients like fish, vegetable, nuts and fruits. And I see that the assembly of raw ingredients into something yummy is like a work of art. For example, I didn't know that I can make raw pad thai by tossing zucchini, carrots, capsicum, cabbage, snow peas, bean sprout and Thai basil leaves plus dressing together. Sounds easy? Yeah but without this book, I would never have thought of that! This is Valli Little's bun cha illustrated in her book. 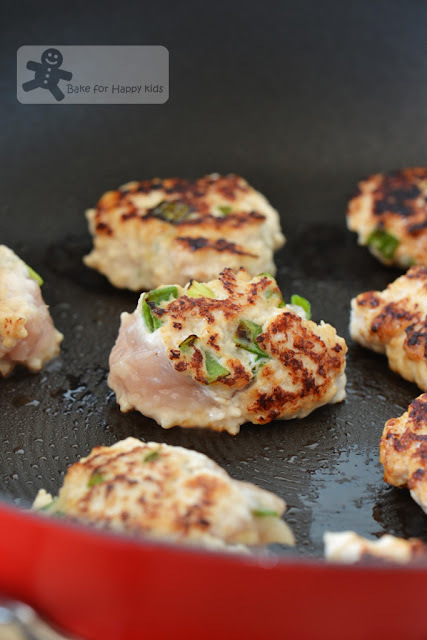 Start by combining 1 tbsp honey, 4 spring onions (thinly sliced), 2 tbsp fish sauce and 2 garlic cloves (crushed and roughly chopped) into 500g lean pork mince (but I have used lean chicken mince). Using damp hands (I used two tablespoons), divide mixture into little patties (the book makes 16 and I made 22) and place them on baking paper-lined plates or trays. Chill for about 30 minutes to firm up the patties. While waiting for the patties to chill, preheat oven to 160°C or 320°F. 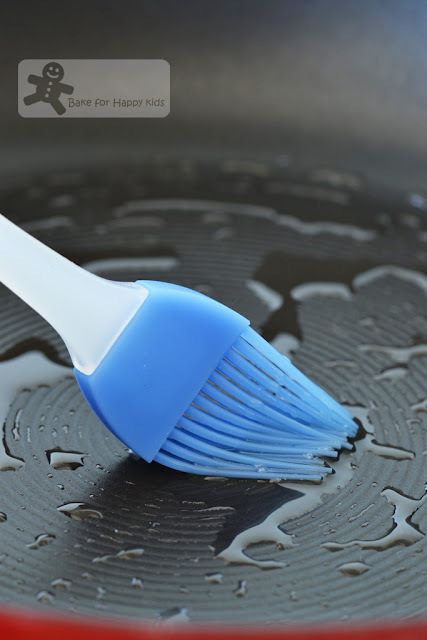 ... to brush a frying (or chargrilled) pan and heat the pan with medium heat. 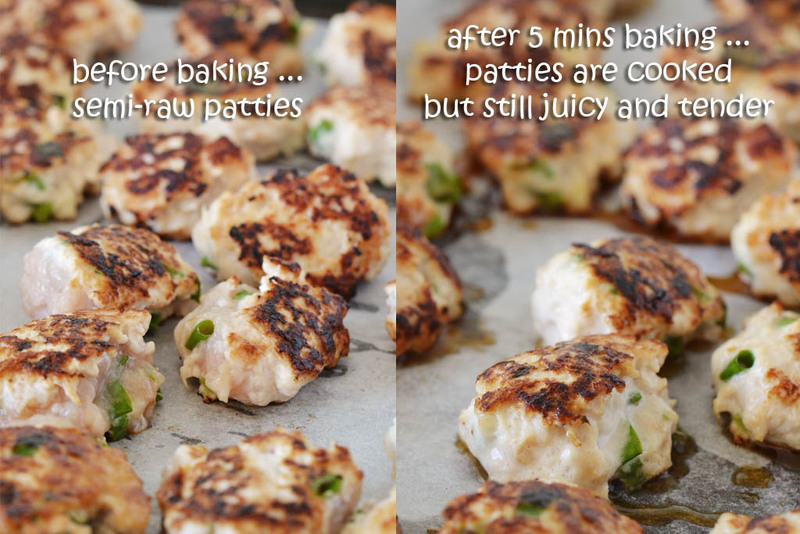 Cook the patties in batches for about 1-2 minutes on each side or until lightly charred. Transfer the patties onto a baking paper lined baking tray and bake for 5 minutes or until cooked through but still tender! Hence, it is important not to bake these patties for more than 10 minutes. 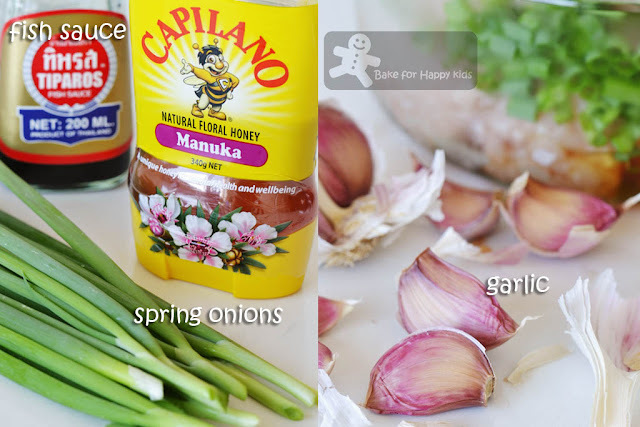 My son and I love this dressing! 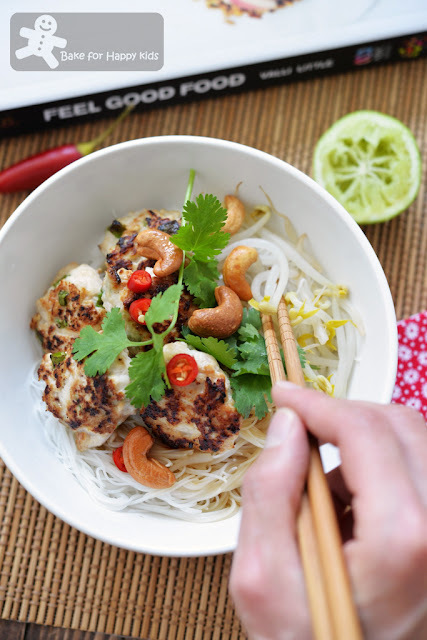 It is so instant to make, light, flavourful and refreshing! Within a short period of time after discovering this wonderful recipe, I have made this dressing many times and will continue to make more. I have tweaked the original recipe a little to make something that slightly less sweet to suit our palate and so you might like to look at both versions to see which suits you better. Mix all until the sugar dissolves. I didn't add any garlic because the fussy me don't really like eating too much raw garlic. Why? Well, you know... bad breath!!! LOL! 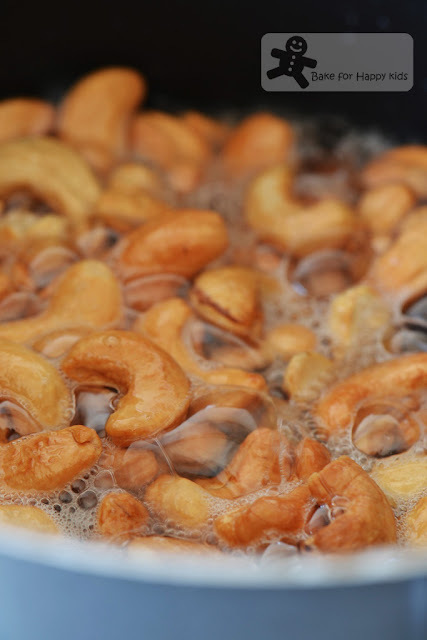 Instead roasted peanuts, I will serve my bun cha with these shallow fried cashew nuts. 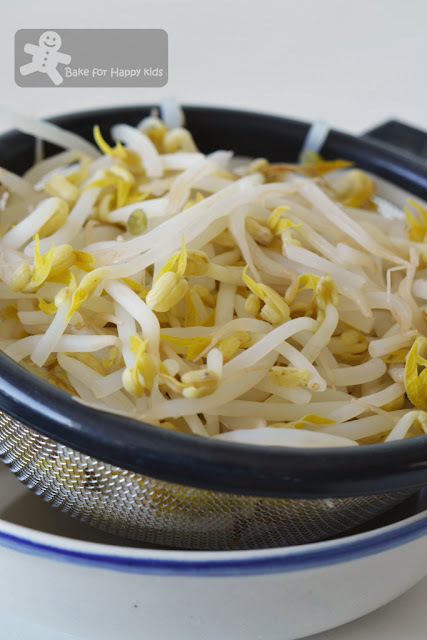 Instead of raw bean sprouts, the hygienic freak me have quick blanched 2 cups (160g) of bean sprouts and drain the excessive boiling water off thoroughly. 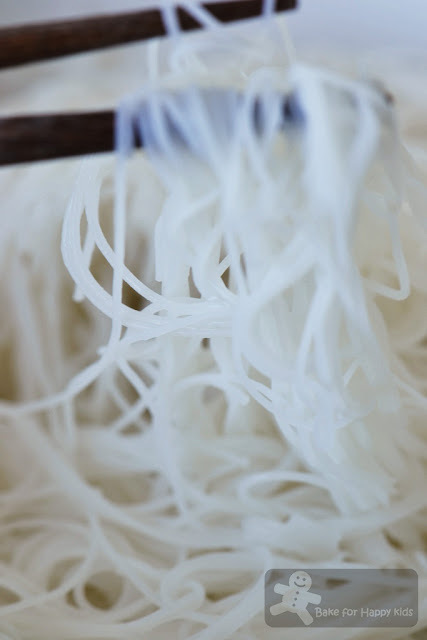 To cook 200g rice vermicelli: Bring a pot of water to rapid boiling and then remove from heat. Soak the vermicelli in the boiling water for 10 minutes or until softened. Drain and refresh under cold running water and toss with 2 tsp oil. This is REAL good! This is the kind food that I don't mind eating it again and again and that's why I keep making the dressing to serve with other food. To conclude, I like to say that this book is beyond fabulous!!! Just browsing the beautiful food pictures itself has made me feel good. Can you imagine eating all of these beautiful food? I like to show you more in coming post and so please stay tune. If you can't wait and want the book NOW - LOL!, you may wish to know that it is available now at a discounted price of AUD$34.99 before Christmas 2015 in ABC Shops (Original price is AUD$39.99). Due to its heavy weight and massive size, I'm so sorry that I can't giveaway this book. Otherwise I would. This looks so good, my feel good food is in season fruit. Zoe, that's a delicious noodle salad! I have had something similar and I enjoyed it a lot. Quite a healthy dish! I agree food doesn't have to be very fancy to be great! I could eat this every day! I adore Vietnamese food! I love this dish! I like that you blanched the bean sprout since I don't like to eat raw bean sprout. The dressing sounds really flavorful too. Yummy-licious. .. and healthy meal too!